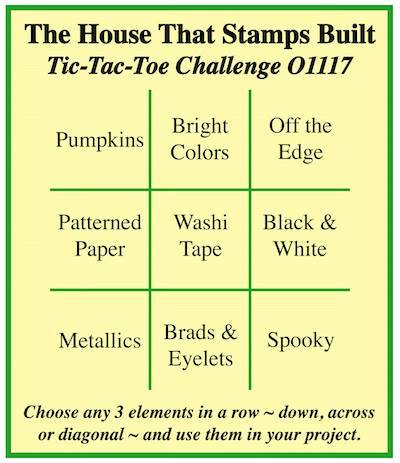 It's time for the October TIC, TAC, TOE challenge at The House That Stamps Built. I had so much fun creating my card for this challenge. Once I decided on the stamps I would use and began stamping them and adding the elements...I started seeing this emerge from my mind as a 1950's singing group. It didn't start out that way and that's where the "fun" began. (I could easily imagine it as a 1940's or 60's girl group too.) That said...for now....I'm settling on the 50's. Love the music from that era, especially the McGuire Sisters. So....if you remember them...here's to "Sugar Time". I used RI# 9307-L "Dress Form" and RI# 3924-G "Friends Together". 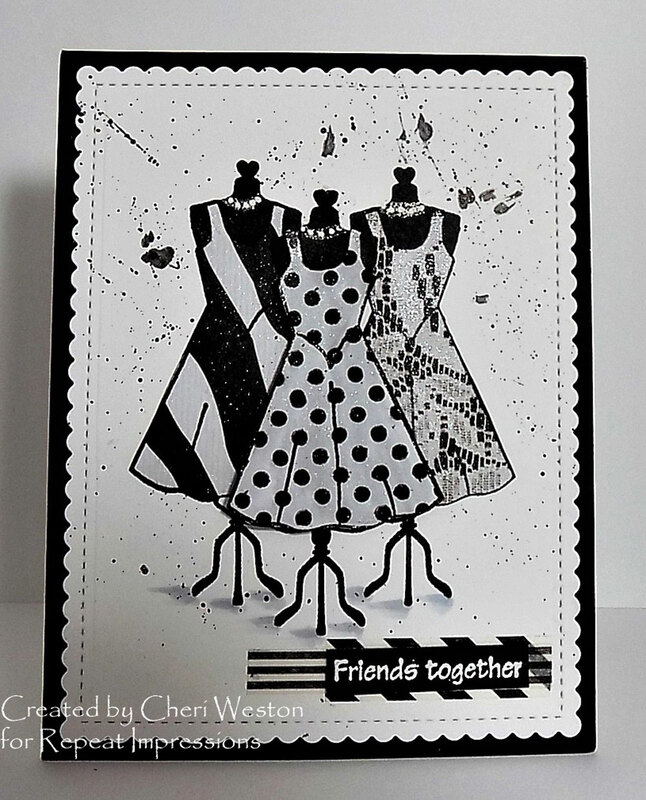 My card was created using the middle horizontal row, Patterned Paper (the dresses), Washi Tape (accenting the sentiment) and Black and White. 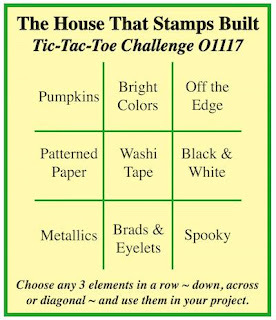 We hope you'll come and play along with our TTT challenge this month...you have the rest of the month to get your entry in, and you can play along all month with ALL of our challenges. The drawing for a winner in our challenge this month will be after the last challenge of the month. So, you have time to play in all the challenge and get an entry in every single one. The details can be found at THE HOUSE. Please visit my team mates' blogs....they have some fabulous TTT creations to show you. Thanks so much for stopping by. I hope you found some inspiration here today and will come back again soon. Wow! this is fabulous SS. These Ladies dresses are all CLASS. I remember my older sister wearing them. Love the scallop border, the super sentiment and those splats a great finish. Super cute card, Cheri! love the dresses - wonderfully done in black and white! This is fabulous!! I love the patterns on your dresses and grouping them together like that is genius!! My dad is a sixty "something" boomer as well and I grew up listening to music from the 30s through the 60s as that was what he liked to listen to. I don't remember this song, though, makes me want to go check it out!! Great job! OH EMM GEE! This is pure genius, my friend! LOVE this idea, and now, I'll be singing all day long. Thanks for the inspiration AND the fun musical memories. 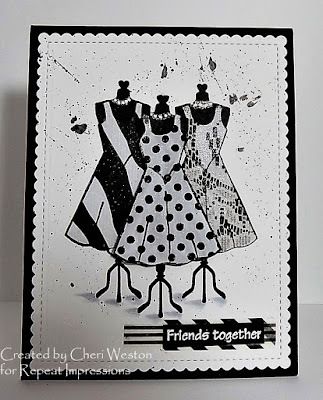 So fun and elegant and like the splatter background!